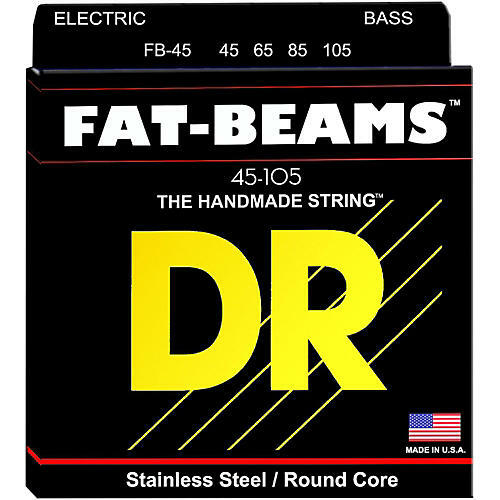 Fat-Beams Stainless Steel Medium 4-String Bass strings are compression wound to produce fat mids, bright highs, and that distinct edgy Fat-Beam sound. Hand-made with the finest American stainless steel available, these strings are wound on round cores for increased flexibility and tone. DR Strings are hand-made (not machine-made) because DR's expert string-makers are capable of making micro adjustments needed through the winding process for the best sound and feel possible.